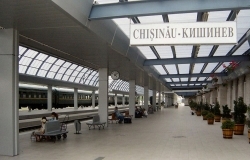 Chisinau Train Station is a passenger terminal station, the main railway station of the capital of Moldova. Here you will find all necessary information about traditional and contemporary religious doctrines and teachings in Moldova, as well as the Chisinau Moldovan Metropolia. Capriana monastery is located in the village Căpriana Strasheni district, on the banks of the river Isnovat, 35 km.. Founder of the first monastic community - Iordace Curci, a resident of the nearby village of Morozeni.